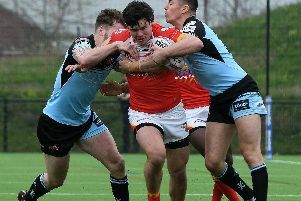 Sheffield Eagles have taken the minimum numbers required to Canada as director Mark Aston attempts to keep his side as fresh as possible for the following crucial double-header. 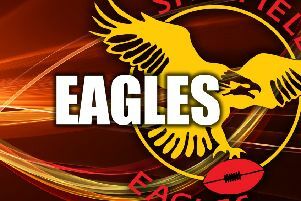 With the Eagles facing a tall order to topple runaway leaders Toronto Wolfpack, Aston has opted to play the long game by leaving behind injury victims Jon Magrin and Ben Blackmore so they are refreshed for upcoming winnable games against relegation rivals Dewsbury Rams and Barrow Raiders. Aston has already aired his displeasure over the travel arrangements which he says will hamper preparations for the following weekend, with the 50-year-old taking the decision to manage his squad as much as possible to leave something in the tank for the visit of the Rams a week on Sunday. “We are taking the minimum number,” Aston said. “We are mindful of the after effects of the journey, because having spoken to others over the last few weeks, not only the flight, but the six hours on the bus back from Glasgow will take its toll. Aston is also disappointed with the disclosure of his squad to their opponents, something the Eagles chief says doesn’t happen when the Eagles travel to French side Toulouse. “They knew my squad on Monday, he added. “We don’t know their squad. How is that in the scheme of things for the game? They book the flights, so they have the names. When we go to Toulouse there is a third party who sort it out, and they don’t know. It is what it is.